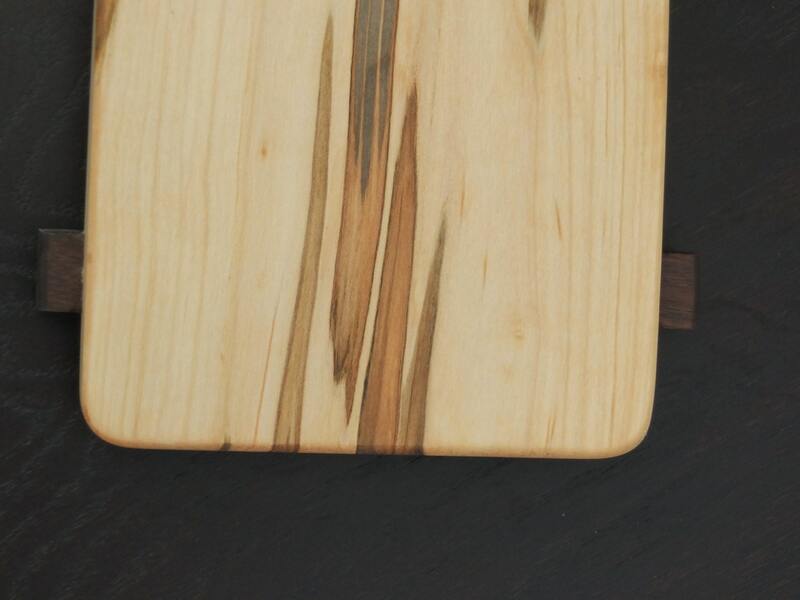 Ambrosia Maple sushi board, cheese board or charcuterie board. Beautiful hostess, anniversary, wedding or housewarming gift! 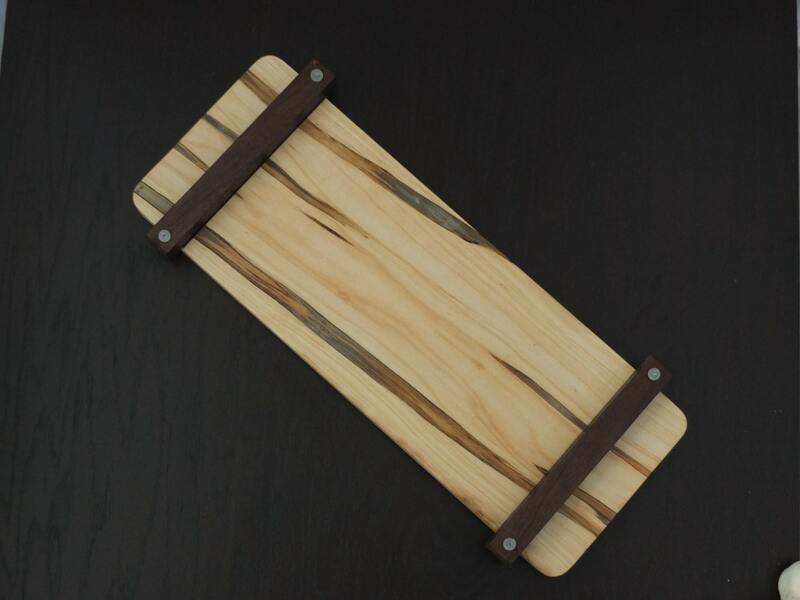 This elegant sushi or serving board features beautiful, unique ambrosia maple to create a serving piece that looks lovely on any table. Walnut feet compliment the beautiful figure in the maple. Item Size: 7" x 18" x 3/4". Stands approximately 1 1/2" tall. 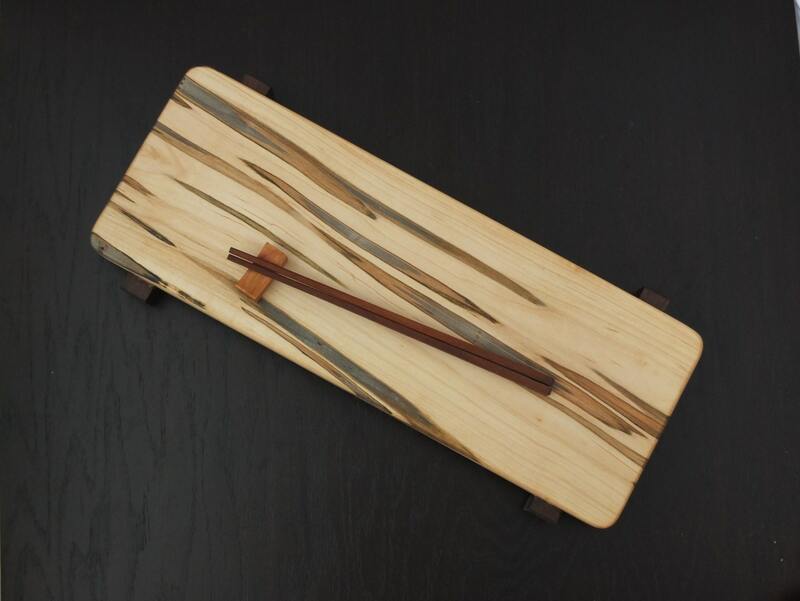 Chopsticks are not included, but can be ordered separately in our shop.